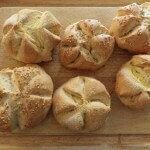 It should be no surprise that Kaiser rolls had their origin in German republics. In actual fact it’s believed to have been named after Kaiser Franz Joseph 1 of Austria. He had agreed to help the baker’s guilds to manage the cost of wheat and bread and it seems they named a roll after him. The accuracy of the story varies but it seems to make sense. The great thing about Kaiser rolls is the bun integrity. They have a bite or chew because of their consistency and will stand up to the most ambitious and robust combination of ingredients. 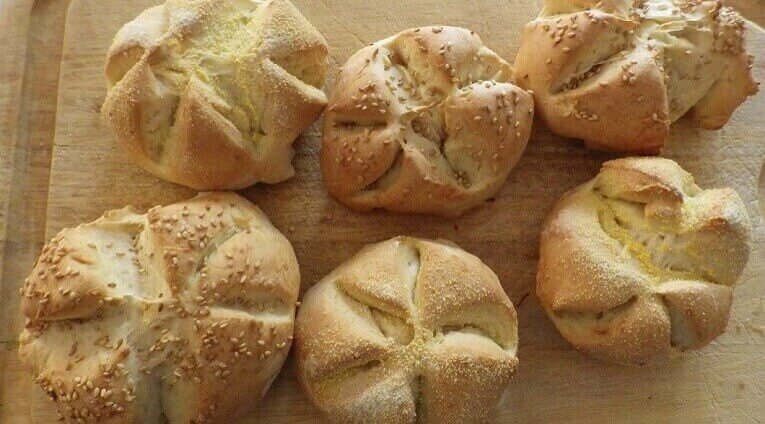 Unlike regular, white buns that can fall apart in your hands with a large burger, Kaiser rolls will never let you or anything on the bun down. Their classic shape features a slightly swirled star on the top that creates 5 distinctive pieces to each roll. 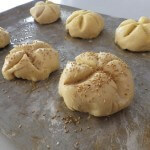 The dough itself is easy to make in the bread machine using the dough setting, and then we’ll go through the steps to make rolls with photos for each step. One thing to note is that there is actually something referred to as a “Kaiser Roll” stamp. This makes it easier to create the distinctive star shape on the top of the roll, but you can also do this with a sharp knife. The rolls are then finished in the oven. Place all of the ingredients into the bread pan of the machine in the order indicated in the ingredients section of the recipe. Put the machine dough setting, and press start. 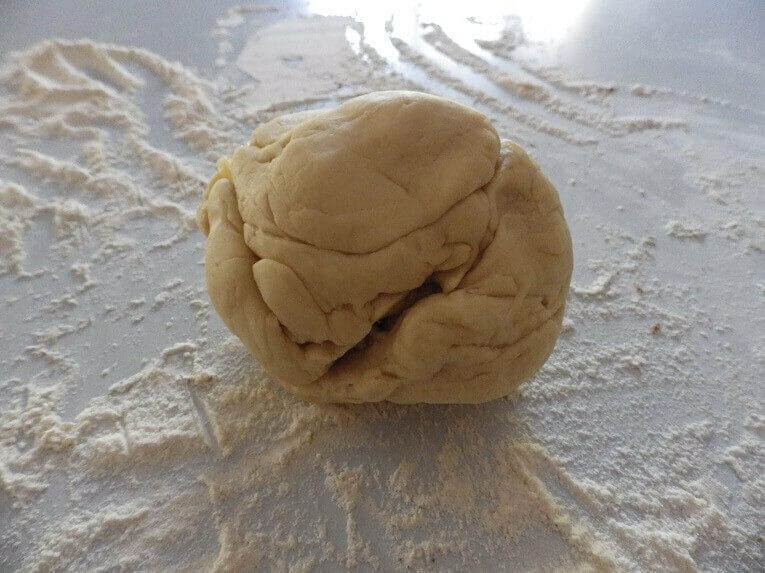 About 10 minutes before the end of the final kneading cycle, examine the dough's consistency; it should be quite stiff, but not at all "gnarly;" adjust its consistency with an additional teaspoon of flour or water, as necessary. Allow the machine to complete its cycle. 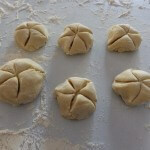 Transfer the dough to a lightly greased work surface, and divide it into six equal pieces. 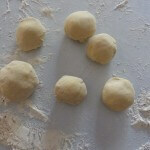 Shape the pieces into round balls, and place them on a lightly greased or parchment lined baking sheet. 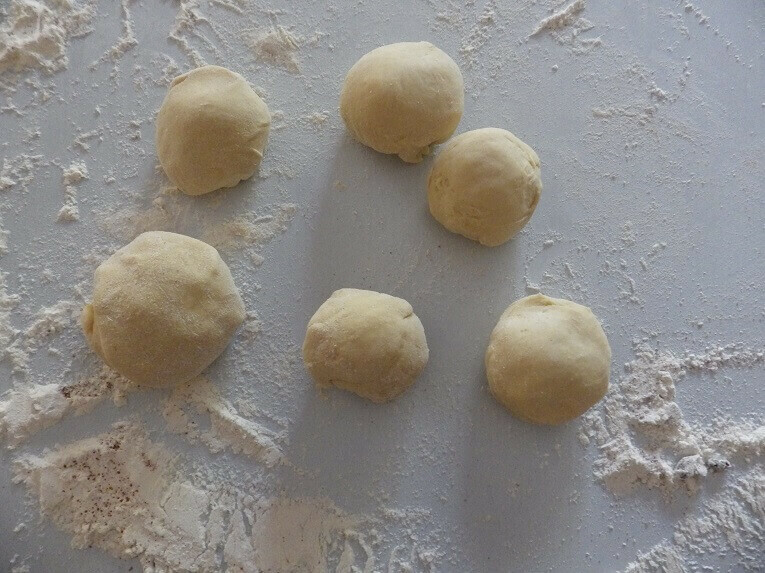 Working with one ball of dough at a time either cut 5 curving cuts from the center towards the side of the dough ball. You can also use something called a Kaiser stamp to make this easier. 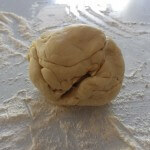 Whether using a knife or Kaiser stamp, press down firmly, cutting to the bottom but not all the way through the dough. 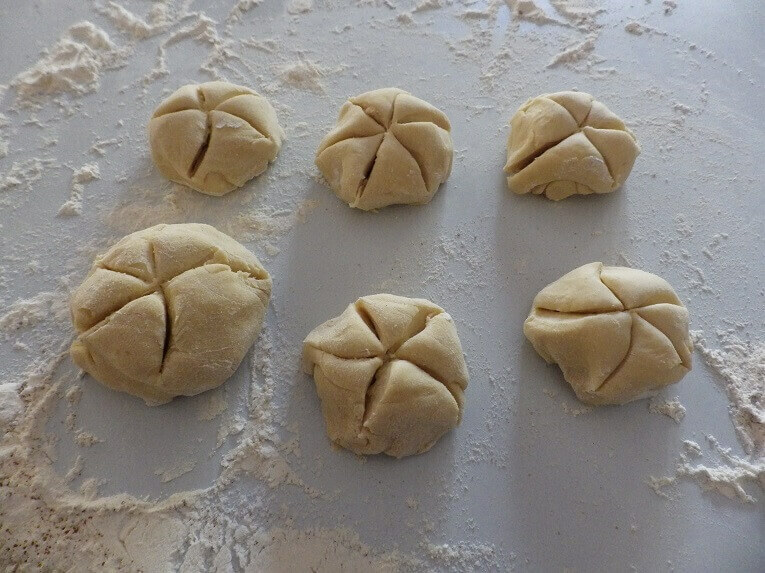 This is important; if you don't cut deeply enough, the shape disappears as the roll bakes; if you cut too deeply), the roll will form "petals" as it rises and look like a flower, not a Kaiser roll. Place the rolls cut-side down (cut-side down helps them retain their shape) onto a lightly greased or parchment-lined baking sheet. 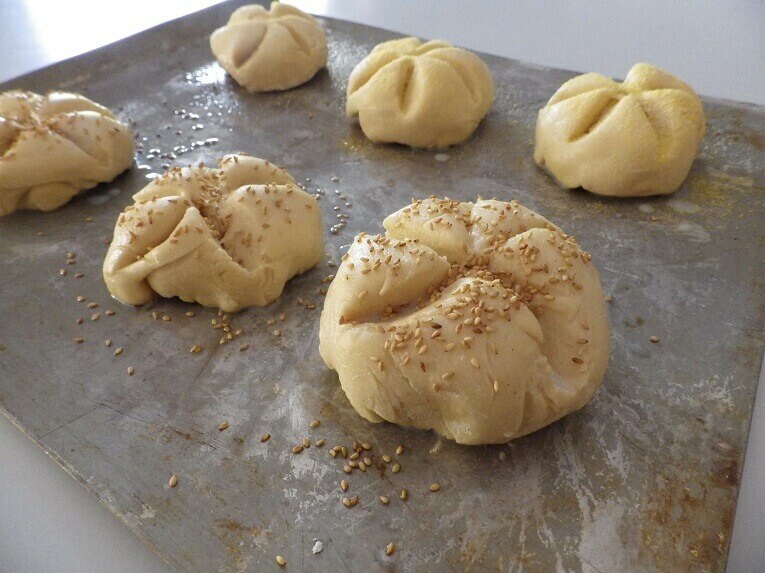 Cover the rolls, and allow them to rise for 45 minutes to 1 hour, or until they've almost doubled in volume. Turn the rolls cut-side up. Dip tops in milk and coat with poppy or sesame seeds or sprinkle lightly with corn meal. 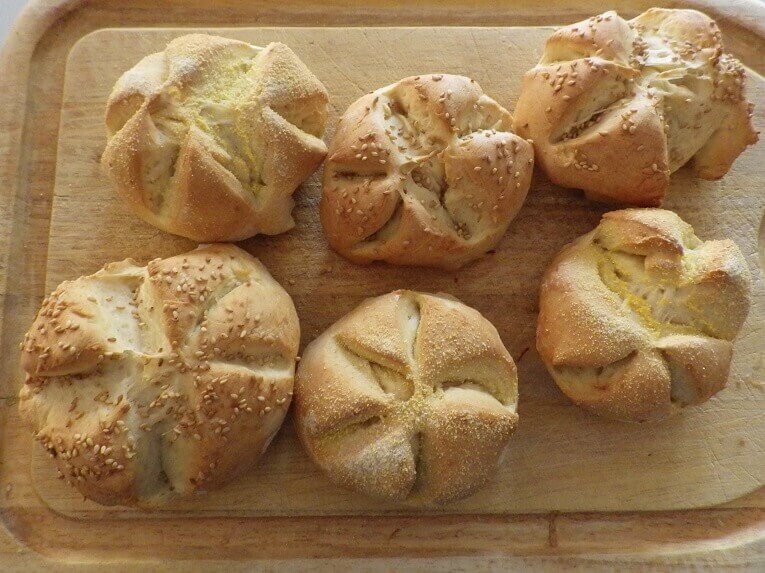 Bake the rolls in a preheated 425°F oven for 15 to 17 minutes, or until they're golden brown. Remove them from the oven, and cool on a wire rack.